The other digital camera that Samsung announced today is called Samsung TL320. The camera features a 12 megapixel sensor and a high-res 460,000 dot 3.0″ AMOLED display. 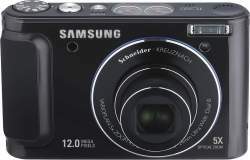 The Samsung TL320 camera will be available from May 2009 and cost about $380.